Earth Hour 2018: Nepal Connects to Earth! The Earth Hour celebration in Nepal this year saw a staggering participation of thousands of youth who gathered at Jawalakhel Grounds to show their support towards the planet. Kathmandu, Nepal – The Earth Hour celebration in Nepal this year saw a staggering participation of thousands of youth who gathered at Jawalakhel Grounds to show their support towards the planet. 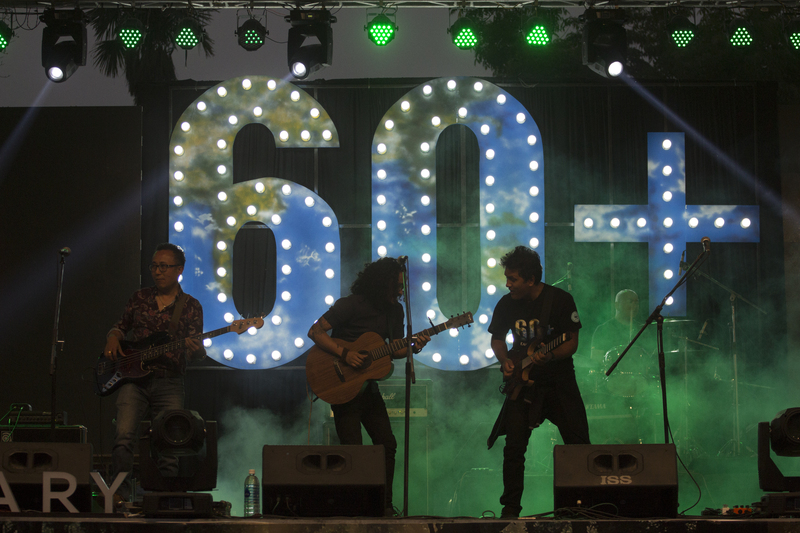 The event showcasing some of Nepal’s leading artists including 1974 AD, The Shadows, Sabin Rai and the Pharaoh, Swoopna Suman and The Elements, enthralled the youth with their amazing performances while requesting all those present to make the switch to environment friendly alternatives such as LED. With making the switch to LED bulbs to save energy, and the environment in turn as the core motif of this Earth Hour, the one-month long campaign started with on ground activations where about 6,000 LED bulbs were distributed at various outlets in Kathmandu in a bid to encourage individuals and corporates to make the switch to LEDs, save energy, and #Connect2Earth. Backed by a strong digital campaign, WWF Nepal drew in an overwhelming response achieving a reach of 300,000+, and impressions of over 4 million. This year, individuals, businesses and organizations in a record 188 countries and territories worldwide joined WWF’s Earth Hour to spark unprecedented conversation and action on stopping the loss of nature. Close to 18,000 landmarks switched off their lights in solidarity as people across the globe generated over 3.5 billion impressions of #EarthHour, #connect2earth and related hashtags to show their concern for the planet. The hashtags trended in 33 countries.